I'm running MacOS Mojave on a 13" Macbook pro with a 4K external monitor (scaled to 2560 x 1440). When running two apps in split full screen mode it won't let me reposition the "split" which controls the share of the screen of the two apps by grabbing the vertical bar. This behaviour can be seem in this screen recording. Any ideas on how to solve this? Or is this just a bug that needs fixing? WORKAROUND: Read somewhere that to get (temporarily) the resizing bar, you drag one of the split windows by the title to the other side of the monitor. The bar will remain for a while. Resize, and if needed, switch back the windows. It has been working for me on an external LG monitor in Mojave. I have the same issue… I’m working around it by resizing the windows in split view on the MacBook screen and only then dragging them to the external monitor, but this "solution" is obviously far from perfect :/ Hope they fix this soon. Workaround: When putting things into full screen, don't put anything full screen instead hold the green expand button on the top left, wait until a side turns blue, than select side, select your second app, now you have a bar in the middle you can drag left/right. Zoom out (using your 4 fingers on the pad) to see all the desktops (windows). Not the answer you're looking for? 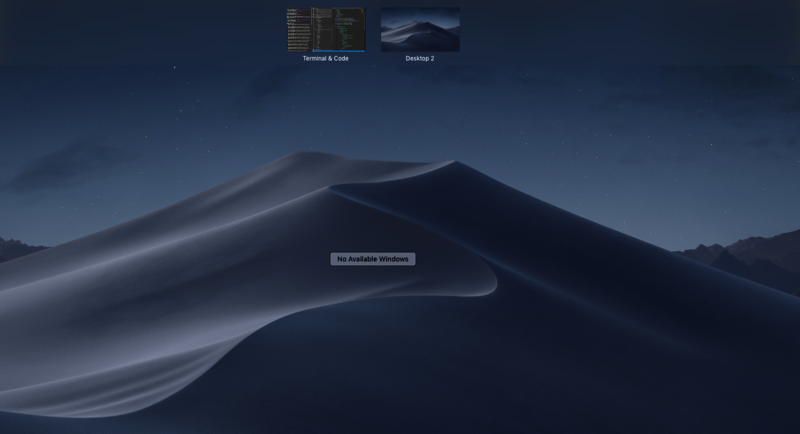 Browse other questions tagged display mojave fullscreen .